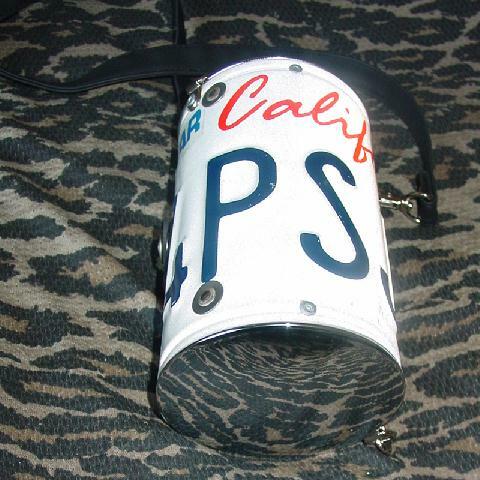 This never used individually handcrafted genuine California license plate purse was made in Pittsburgh, Pennsylvania. 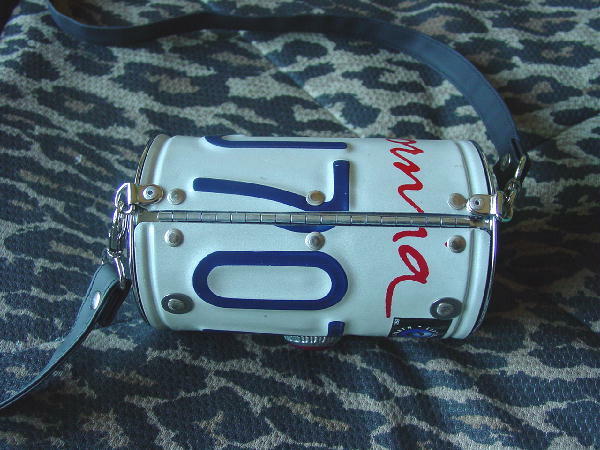 It has a certificate of authenticity and a little insert showing the two ways to hang your purse. 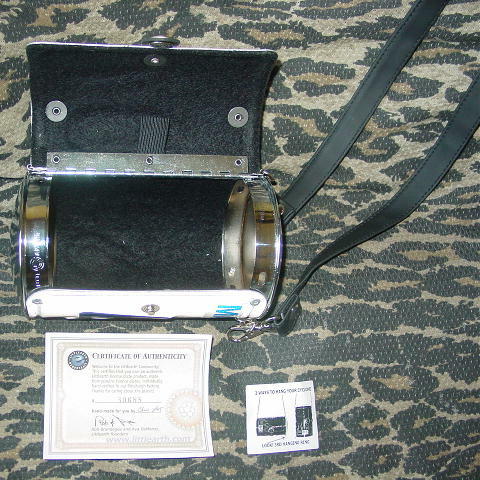 It has a black felt lining and a silver-tone frame with shiny mirrorlike rounded sides. The lid is hinged and it has a bottlecap (Black Cherry soda) black rubber and silver-tone metal logo snap closure. 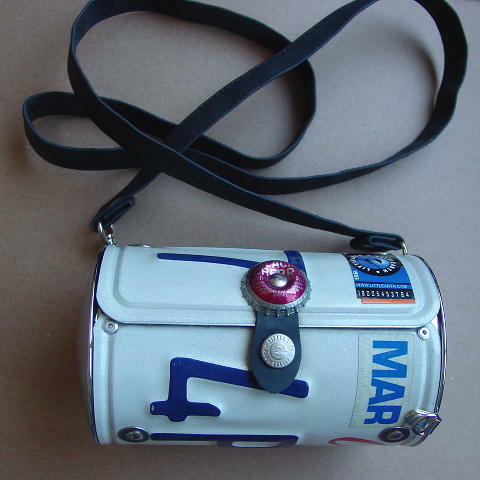 There are three metal loops and a faux blue leather 49" by 3/4" detachable shoulder strap and metal hooks. A model got it as a gift. She carries way too much makeup for it all to fit in this purse.